Latest News Deal agreed – let work commence! 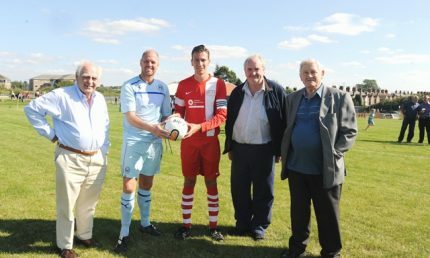 A Coventry City All Stars XI helped to unveil a new football pitch which has been created as a part of a regeneration project in Nuneaton. 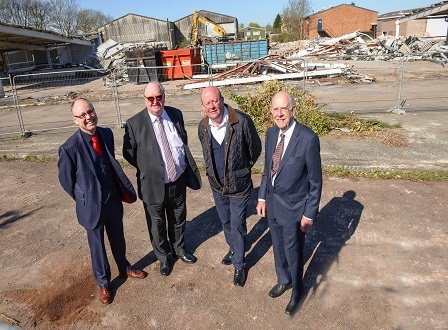 The pitch has been created at the Bermuda Phoenix Community Centre and is part of a major scheme in the area by the Deeley Group, which has seen more than 12 acres of brownfield land used to build a new social club and 1,000 homes, and seen the creation of over 2,000 jobs. The All Stars – including FA Cup winner David Phillips, midfielder Barry Quinn and Sky Blues in the Community director David Busst – ran out 6-0 winners. Dele Adebola, who scored twice on the opening day at the Ricoh Arena in 2005, repeated the feat at Bermuda with Marcus Hall and Quinn also on the scoresheet. 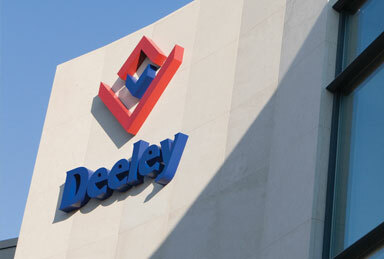 Peter Deeley, of the Deeley Group, said: “It was a great launch for the new pitch and the other facilities and the community came out in numbers to show their support and were given plenty of entertainment. 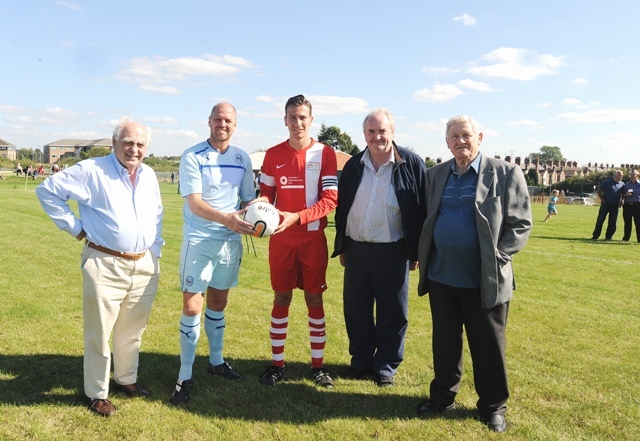 l/r, Peter Deeley (Deeley Group), David Busst, Alex Rowe (Bermuda Captain), Pat Moroney (Deeley Group), Tom Walker (Bermuda). MIRA Technology Park, the 1.75 million sq. 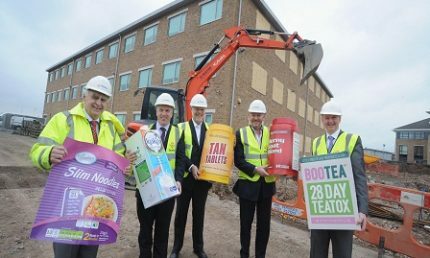 ft. Enterprise Zone in Nuneaton, has begun work on Phase Two of its development, with the construction of a third multi-use building on the site. The 27,200 sq. 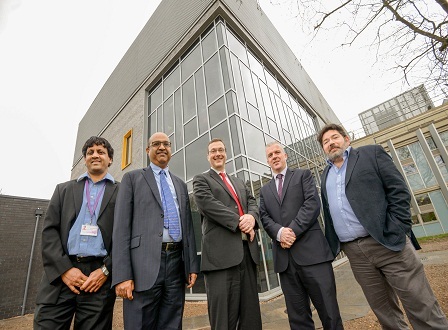 ft. building, ‘North West 3’, represents an investment of almost £7 million by the HORIBA Group and will house a number of global tier-one companies within the six secure facilities within the building. 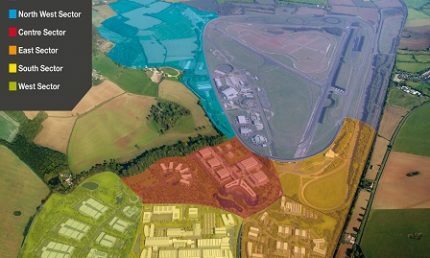 The announcement follows the completion of Phase One of development in February, with the construction of key infrastructure on the site, which has paved the way for Phase Two of the development including the East, South and Centre Sectors of the Technology Park. This new building is located in the North West Sector of the Park, and compliments three other multi-tenant buildings constructed for various companies, alongside bespoke facilities created for Swedish company Haldex, and for Aston Martin. 2,000 jobs as the Park nears completion in 2025. 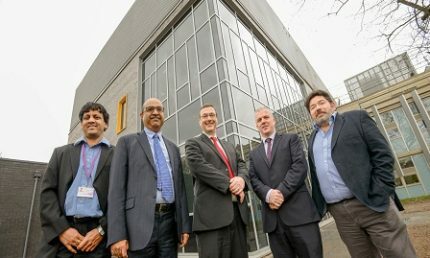 Terry Spall, Commercial Director at MIRA Technology Park, said: “Phase Two of MIRA Technology Park is now well underway with the construction of North West 3, which will create much-needed space for new and expanding businesses to join us on site. 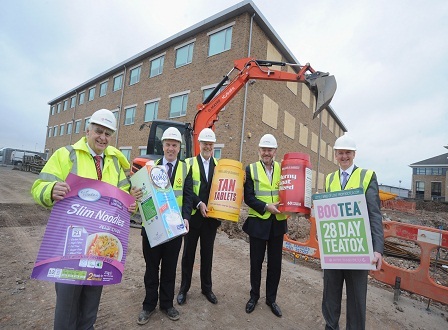 We are also expecting to be breaking ground on a further three new buildings this year. 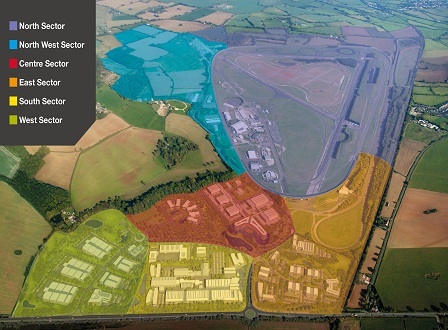 MIRA Technology Park is set to be completed by 2025, and is rapidly gaining global recognition as a leading automotive technology cluster and is gaining broader interest as a strategic transport sector R&D location within the EU. Plans for a £29 million residential development of over 140 new homes along Leamington Spa’s canal side have taken a step forward. Orbit Homes has announced plans to build 143 high-quality homes for sale, shared ownership and affordable rent on a brownfield site at Sydenham Drive. With rising house prices and growing demand for homes in Leamington putting homeownership out of the reach of many, the development will provide a range of housing options to help people on to the housing ladder. Offering canal-side living, the new development will bring 55 homes to the open market, as well as 39 homes available for shared ownership and 49 for affordable rent. Orbit Homes is expected to begin work on the former Soans’ Ford dealership site this month, after completing the land purchase in the first week of March. Due for completion in spring 2018, the new homes will be delivered in partnership with Deeley Construction. Chris Jones, development director at Orbit Homes, said: “We are incredibly excited to have completed the purchase of the land, and begin to bring to life our plans for this canal-side development. 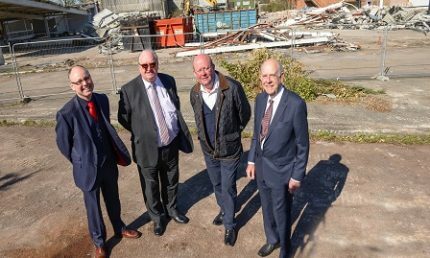 Martin Gallagher, managing director of Deeley Construction, said: “We are very pleased to be working in partnership with Orbit Homes on another project that will deliver much-needed new homes in the region. “We are more than contractors in a project of this nature – we work as partners in bringing about the best possible results for the client. As part of the 39,000 home Orbit Group, Orbit Homes is the UK’s third largest developing housing association building around 1,500 homes a year.